Vigorous arching shrub with good dark green foliage and prickly stems. Large semi-double flowers of white with a touch of pink on teh reverse. Musk-scented and repeat flowering. 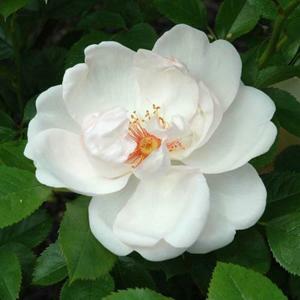 Bred by Jack Harkness, introduced 1989 and named after the famous cellist.